AUGUSTA, Maine – In June, the summer event season heats up for the Kennebec Valley region, starting with the Skowhegan Moose Festival, June 8-10. Throughout the summer months, communities and organizations across the region have planned events that include the Skowhegan Moose Festival, Maine International Film Festival, Atlantic Film Festival and other tourist attractions, plus outdoor activities and local parades. The free 2018 Kennebec Valley Explorer vacation planner is now available and includes ideas about where to go and what to do in Maine’s Kennebec Valley. Copies are available by mail or online at kennebecvalley.org. “With a myriad of lakes, rivers and woods to explore, as well as historic towns and museums, the Kennebec Valley offers fun activities and events for all ages and interests. While we are expecting a greater number of visitors, our region is also energized by the opportunities and attractions for residents to enjoy. With more than 12 fairs and festivals that include everything from moose to music, we have tons of events and activities happening this summer and there is a lot to be excited about in the Kennebec Valley,” said Tanya Bentley, executive director of Kennebec Valley Tourism Council. 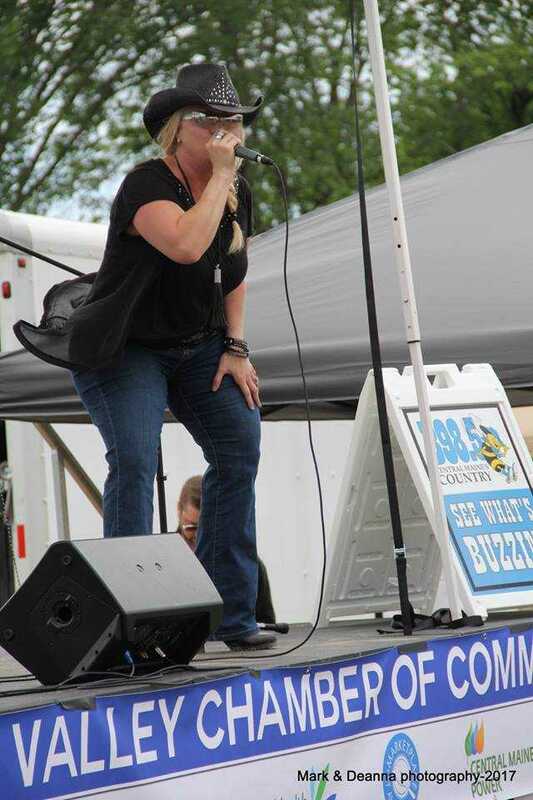 The summer schedule of events starts with the state’s annual Moose Festival, June 8-10 in Skowhegan, which includes the state’s moose permit lottery and special events, including a concert by national recording artist Phil Vassar. Also in June, the Whatever Family Festival, June 13-July 4 in Augusta and surrounding cities and towns, will host events that include waterfront concerts, sports tournaments, fairs, and fireworks for Independence Day. In July, the Maine International Film Festival, July 13-22, is expected to attract film enthusiasts around the world to Waterville for the 10-day event. The annual festival showcases the best 100 releases of American independent and international cinema, encompassing world and U.S. premieres, as well as classic revivals and inspiring performances, exhibitions, and community workshops. Later in July, adventure enthusiasts can experience one of the scheduled turbine test releases that results in Maine’s biggest whitewater experience when Harris Dam is opened to its maximum capacity leading to a rush of 8,000 cubic feet per second of water rushing through the Kennebec River Gorge. Scheduled events also include Oakfest in Oakland, July 27-29, and Open Farm Day on July 22, when many farms in Kennebec Valley open their gates to offer the public an opportunity to learn about the business of agriculture. August is full of activity in the region with several festivals and fairs, including China Days the first weekend of the month and River Fest, Aug. 1-5 in Skowhegan, an annual multi-day celebration of recreation and life on the Kennebec River that includes raft rides, a guided paddle, local food, and the iconic bed races down Main Street. Skowhegan will also again host the Skowhegan State Fair, the country’s oldest state fair, celebrating its 200th anniversary this year from Aug. 9-18. The Blistered Fingers Family Bluegrass Festival runs June 13-17 and Aug. 22-26. There are also more hometown festivals in August, including Madison/Anson Days, Aug. 23-26. The fair season continues in September with the Clinton Lions Club Agricultural Fair and wrapping up with the Common Ground Country Fair, Sept. 21-23, that draws nearly 60,000 visitors to the region. Music offerings in the region during the summer include a Don Campbell concert, August 13, and The Fab Four, a tribute to the Beatles on Sept. 5 at Snow Pond Center for the Arts in Sidney. Somerset Abbey in Madison will also host two concerts; Back in Black, a tribute to AC/DC on July 27, and Brickyard Road, a Lynyrd Skynyrd tribute concert on Sept. 1. On June 30, the Waterville Opera House will host the R.B. Hall Day celebration to celebrate the Maine composer that will include a day of free music and activities. Plus, Waterville Rocks! returns with a series of four free outdoor concerts on July 6, July 27, Aug. 17 and Sept. 28 when families and friends gather in historic downtown Waterville and listen to local music. From July 1-29, Colby College in Waterville will host the Atlantic Music Festival, a month-long festival that celebrates a mission to cultivate originality, independence, and innovation in music. Regional events for foodies will include the Kneading Conference and Artisan Bread Fair hosted by the Maine Grain Alliance on July 27 and 28 at the Kennebec Community College in Hinckley. As part of the event, grain enthusiasts from around the world will gather for two days of intensive baking workshops, wood-fired oven building workshops, and discussions about grain growing and their businesses. New this year is the Kennebec River Brewfest, June 30 in Augusta. Traditional favorites in the region also include the Taste of Waterville on Aug. 8 and the Skowhegan Craft Brew Festival on Sept. 1. For the full schedule of activities and events in the Kennebec Valley, visit www.kennebecvalley.org. Editor’s Note: Click on the image above or the link below in order to access a downloadable version. The Kennebec Valley Tourism Council (KVTC) is a 501(C)6 nonprofit group organized to manage the Maine Tourism Marketing Partnership Program (MTMPP) grant issued by the Maine Office of Tourism and the state of Maine to each of the eight Maine tourism regions. Funds from the MTMPP regional grant are allocated for use in the promotion of tourism in each of the eight tourism regions of Maine. The KVTC board undertakes activities to promote tourism in Maine’s Kennebec Valley and generate a positive economic impact for the region. Named for the Kennebec River that runs down the center of the region, the Kennebec Valley is one of the eight Maine tourism regions and includes the cities and towns contained in both Kennebec and Somerset counties. The region contains Maine’s capital city of Augusta, Gardiner, Hallowell, Waterville, Skowhegan and Jackman, as well as the recreational resort communities near Monmouth, Belgrade, and The Forks. It also contains a few outlying towns including Rockwood-on-Moosehead, China, and Pittsfield. To learn more, visit www.KennebecValley.org.